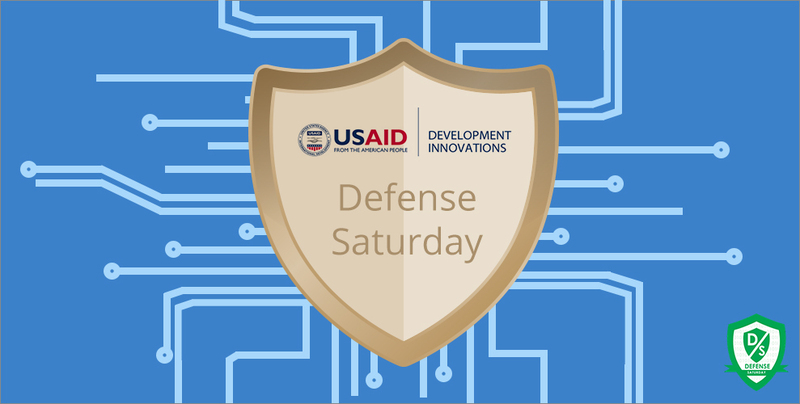 Coming up at Development Innovations, the second edition of Defense Saturday, an event to raise awareness regarding Information Security. It will happen on 29 November 2014, from 2:30PM to 5:00PM. This is a highly-talked about issue and when the Geeks In Cambodia team visited the International IT and Electronics Expo (ITET) 2014, we got to learn more about cyber security at the conference on day 1. Read our feature of it here! The event focuses on the technical aspect of IT security. This is what adversaries can do to attack your businesses or organisation’s digital assets. These include intellectual properties and core technologies. Defense Saturday teaches you how to protect your company and prevent these from happening by sharing what techniques these attackers use. 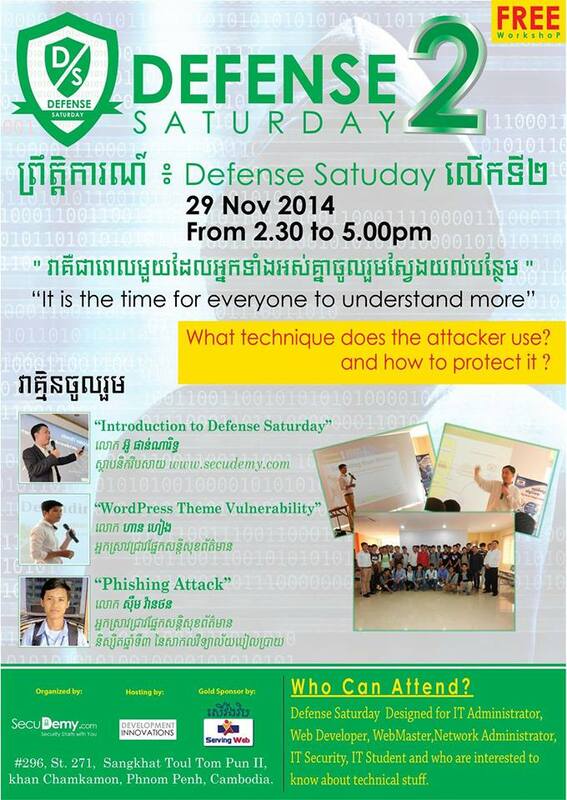 Mr. Phannarith Ou will be speaking at the event. He is the founder of secudemy.com, an Information Security awareness raising website. He is also a part-time senior lecturer at Build Bright University (BBU), Phnom Penh, teaching subjects such as Information Security. E-Commerce Technology and IT Law. The independent IT and cybersecurity consultant for many international companies and organisations has been invited to speak in many conferences, forums and seminars. Back in 2012, he was awarded by the International Data Group (IDG) as one of the top 10 Chief Information Security Officers in ASEAN.